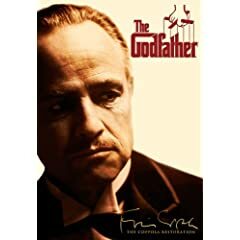 Of this week's releases, I am most excited to finally replace my aging VHS copies of the Godfather films with the Coppola restoration editions (at least The Godfather and Godfather II, I'll pass on Godfather III). Television fans can pick up the fourth season of Boston Legal, the fourth season of CSI, and the second season of Brothers and Sisters. For indie music fans, Silver Jew is a documentary about Silver Jews frontman Dave Berman. Other documentaries worth checking out include A Lion in the House, a film about five African families with children fighting cancer; Liberia-An Uncivil War; and Shooting Henry Hill, which profiles the noted organized crime informant. I have been enjoying Osamu Tezuka's Dororo manga series, and the film based on the books is out this week. Any recommendations from this week's list of DVD releases?